It has been determined that beliefs about language learning are significant for the learning and teaching process, and that learners may differ in their beliefs towards learning a new language. Similarly, student-teachers of different subjects may differ in their beliefs about language learning. The main aim of this study was thus to investigate pre-service preschool teachers’, primary school teachers’, and special education teachers’ beliefs about foreign language learning in Slovenia. Three different areas were researched more closely: beliefs about foreign language aptitude, beliefs about the nature of learning and beliefs about foreign language motivations and expectations. The BALLI questionnaire was used to gather data, with responses provided by170 first-year students. The results show that despite attending different teacher training study programmes, students do not differ significantly in their beliefs about language learning; however, in comparison to other studies, the results imply that learners from different cultures see language learning differently. 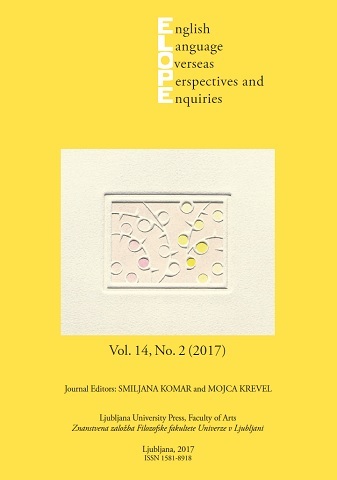 Authors are confirming that they are the authors of the submitting article, which will be published (print and online) in journal ELOPE by Znanstvena založba Filozofske fakultete Univerze v Ljubljani (University of Ljubljana, Faculty of Arts, Aškerčeva 2, 1000 Ljubljana, Slovenia). Author’s name will be evident in the article in journal. All decisions regarding layout and distribution of the work are in hands of the publisher.